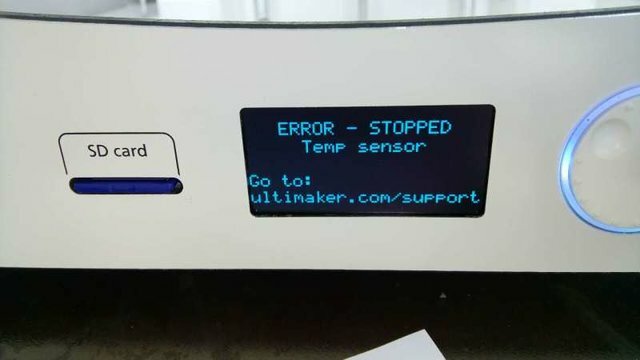 I just got my UM2 extended for 1 week and today when I open the box and start printing, then an error message shows: ERROR - STOPPED "Temp sensor" And the printing only last for 10 min and stopped. 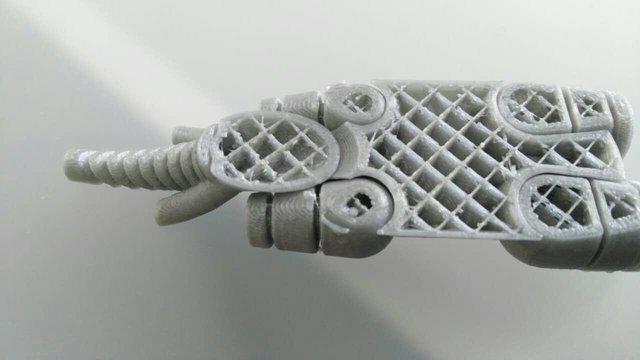 I get an unfinished product. Could someone tell me how does it happened and how to fix it? Thanks in advance! Odd for a new printer... Can you check if the temp sensor is well inserted? (It's one of the two white cables that go to the head). This usually happens when the head looses temperature, it's triggered if the temp goes down from 10°c (or something like that). Does it happen when the fan is at 100%? Can you show a pic of the head? A "Temp sensor" error is triggered if the sensor reading yields to less than 5°C or more than 275°C.